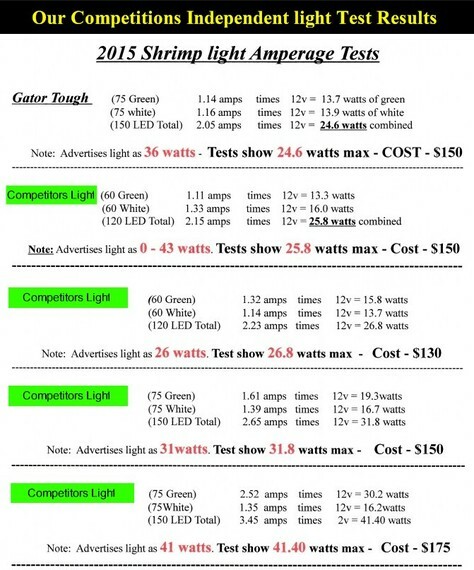 Thanks to our Competition for the comparison: Their independent tests show that The GatorTough Lights™ Performed better by requiring nearly 50% less watts to power up and having nearly 50% less drew of amps from your battery. 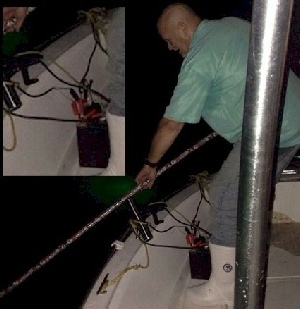 The results of their tests also show that the other lights use nearly 50% more wattage to power up and draw nearly 50% amps from your batteries, than our GatorTough lights™, they also prove that our GatorTough Lights™ are more energy efficient then any other on the market today. The reason for the lower wattage and current is because we employ only the state of the art Energy Efficient Ultra H.I.D. 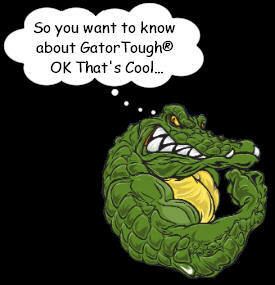 High Intensify LEDs™ in all our GatorTough Lights™.